Former ITV executive Paul Dale has left his post as senior vice president, technology for e-Entertainment at ProSiebenSat.1 Group to join Dentsu Aegis Network. Dale has joined as global group chief technology officer at the UK-headquartered, multinational media and digital marketing communications company, taking up his post earlier this month. Commenting on the move, a ProSiebenSat.1 spokesperson said that Dale had departed in the summer and that no direct replacement would be appointed, as e-entertainment will no longer run as single unit. Instead, ProSiebenSat.1’s pay VoD site Maxdome and ad-supported VoD assets – including ProSiebenSat.1 Digital and the firm’s TV sites – will have separate tech leads. Dale joined ProSiebenSat.1 last December taking on the senior vice-president role on an interim basis. He oversaw five digital businesses – Maxdome, ProSiebenSat.1 Digital, MyVideo, Ampya and Studio71. 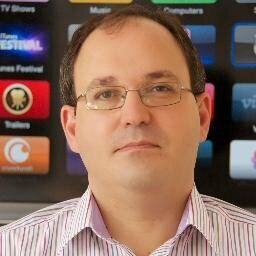 Prior to that, he was chief technology officer at ITV between 2010 and 2013. During this time he also oversaw the UK broadcaster’s interest in internet TV venture YouView and represented ITV as a director of DTH platform FreeSat.